# So. What I should be feeding cats? # How often you should be feeding your cats? Feeding cat not about a difficult thing but you don’t be just feed without good schedule and good diet contain. If you keep cat for the first time for your pet, the question is how much should feed cat per day? Sometimes you may feel whether the cat eat a bit or more. Feeding Kittens is not a complicated thing depends on view variables such as weight and age of the cat a variety of food that you gave, cats activity, and whether your cats are pregnant or breastfeeding period. The food brand you give for cat that will make a difference for cat health condition. For example, high quality dry food will contain more nutrients among quality dry food low so for the same nutrients needed less portions. Many pet cat owners who gives free access for their cats and always fill full feeder may be that for if the situation when cat is hungry there are food is always exist in feeder. However, to use this method have to be careful cat will be overweight and obesity especially when it’s without balanced drink. 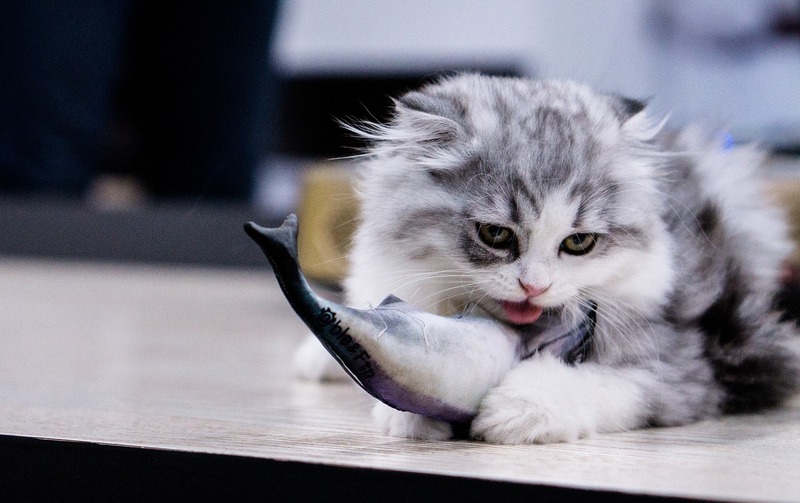 Cats are carnivorous animals that means cats needed food a kind of meat or fish as carnivores’ cats need some protein as fatty acids, amino acids, and vitamins. 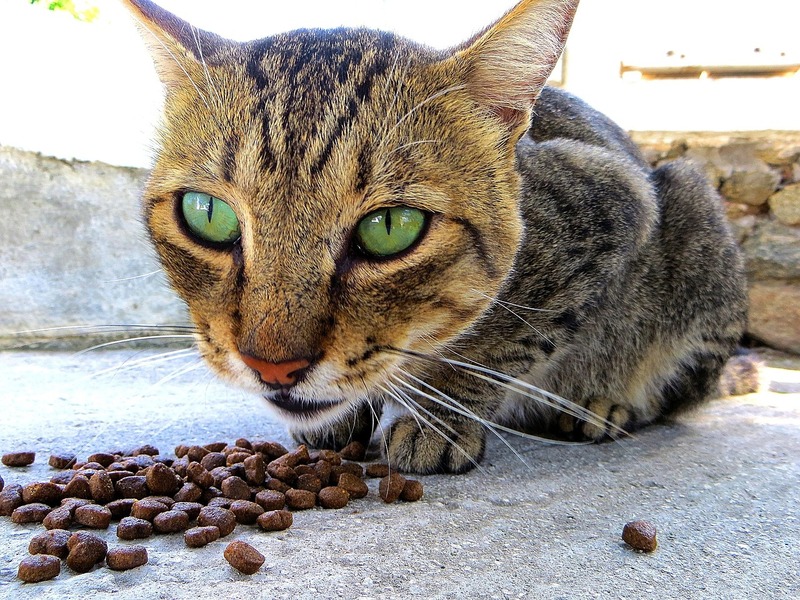 feeding cat with dry is just like meals or snack for cat the main cat food in the wild. We have known are meat and fish or insect like grasshopper and so on If you feeding the cat with wet is good thing like fish, eggs and fresh meat. Feed enough vitamin and nutrition for cat we recommended you feeding your cat with eggs that for health cat reason you can give the eggs one time each two day that enough for cat nutrition. Make sure cat food vitamins and nutrients contain. An adult cat avoids to feeding with high protein that would cause kidney problems for cats. Otherwise for kitten’s old that highly recommended to feed with high protein because it would be good for its growth. You may have to be selective to choosing the cat diet because there are many cat food products not all of them are good for your cats. Catster reported according to the Animal Medical Center of New York an adult cat with 8 pounds requires about 240 calories per day. That means for each 1 pound cats need 30 calories per day. So, how weight your cats? Focus on the calories on food packaging and specify to fulfil food with calories needed per day then distribute that with the feedings frequency (2-3 times a day). Normally for a day cat eating about 2% of its weight. So, when your cat weight 11-pound food needed about 2% x 11 pound are 100 grams per day. Normally, a cat should be fed twice a day in morning and evening for help cat to raise appetite purpose. Although there are usually they Meow-Meow every day ask for food. even if you have feeding them that you have hold your hand to over feeding to your cat that all about overweight reason. Always free feeding cats with follow on track your schedule plan. That make you happy on that don’t be greedy to feeding to much your cat each time just control with enough portion each time feeding. You may need to add or reduce feeding portion see on the cat’s weight when a cat looks fat, it’s good to reduce food portions but if a cat looks thin then you need feeding more through the cat good weight. Make sure always provide enough drink because cats need drinks to be keep attention to replace drink water in their bottles because cats like to drink fresh water. Cat drinking a lot is low risk of kidney problems with cats drinking less this is because the water will help watery the urine and be absorbed in it intestine. Caution if giving milk for a cat. Don’t feeding cat with milk containing sugar (lactose) because it can cause diarrheas the cats haven’t the enzyme lactase that is useful to processing sugar. If you want to feeding milk to your cat are make sure that is milk particularly for cat as an alternative you can feed cat with the non-lactose milk get it in pet shop or store. Well, Provide the cat food enough suitable portion Don’t make your cat fat because obesity is dangerous for the cat healthy always keep the feeding schedule program and keep cat always hygiene condition to avoid virus and bacterial infection can interfere cat healthy.